Product Info: Business Computer Checks, Stampers, Etc. If you are an existing customer, please sign in to order now! Computer checks and manual business checks are available for almost any computer software. We offer a variety of checks and deposit tickets. You can save 25% or more when you order from Bank-A-Count. 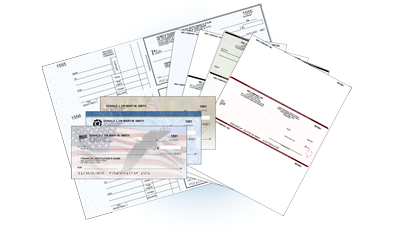 For non-financial institution customers, you may order checks online now! 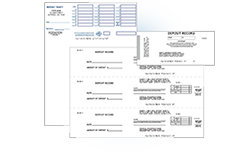 The 'Checks For Less' product line of low cost personal and business checks is also available for financial institutions. Contact us today to find out how you can save 25-50% or sign in to order now. 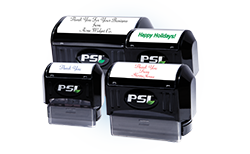 Variable printing from Bank-A-Count allows you to mail personalized letters, newsletters, flyers, and more with ease. Simply upload your PDF or mail merged documents to the secure site and submit. 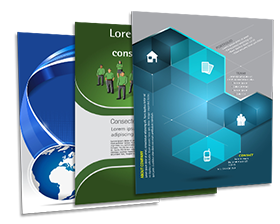 Two types of variable print services are offered: Mail Merge and Ready to Print. Select Mail Merge if you are providing a Recipient Address File along with your Letter File(s), or choose Ready to Print if you are providing a pre-merged Letter File containing address information. Let us print, fold, stuff, apply postage, and mail your various documents. You can even select paper and ink colors for further customization. Save time and resources by using Letters to Mail from Bank-A-Count! Need documents printed quickly? Select the Colored Copies option under the Printing & Mailing Services tab. This quick print feature allows you to upload a document to our secure site and send it to print immediately. 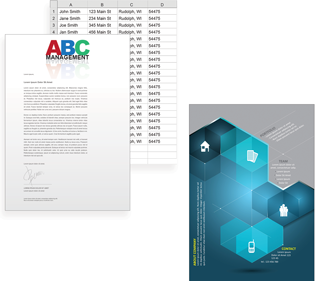 Select paper and ink colors for further customization, and view an instant preview of your document prior to print. Bank-A-Count will mail your copies back to you, taking the hassle out of making lots of copies! 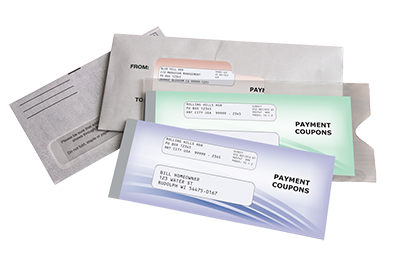 Bank-A-Count Corp prints three types of payment coupons: Personalized, Generic, and Breakout. All of these coupons will save you money when compared with monthly billings, and are tailored to your specifications. Coupon books are also offered for club accounts for financial institutions. Bank-A-Count Corp prints savings coupon books for Christmas savings clubs and vacation savings clubs. Sign in to order if you already have an account, or Contact Us to get setup. Whether you are looking for deposit tickets for personal accounts or business accounts, Bank-A-Count has what you need. For business deposit products, choose from manual deposit ticket books, three-per-page deposits (for use with manual business checks in 3 or 7 ring binders), and laser deposit tickets (compatible with Quickbooks®). For personal deposit products, choose from statement savings tickets and personal deposit tickets. Statements are for billings that are annual, quarterly, monthly, or needed for special assessments. 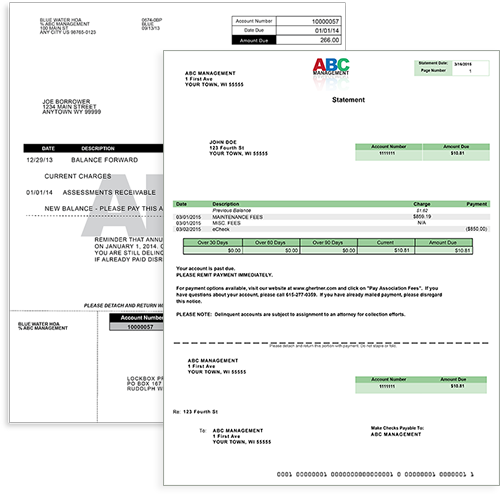 We offer the standard billing statement, as well as the custom designed Ready-to-Print statement. Pre-inked stamps are available for endorsing checks, return addressing, signature duplication, or custom designs. All stamps are personalized with information you provide.